Chuck Bloedorn was a basketball and baseball star Scherz High School in Chicago. 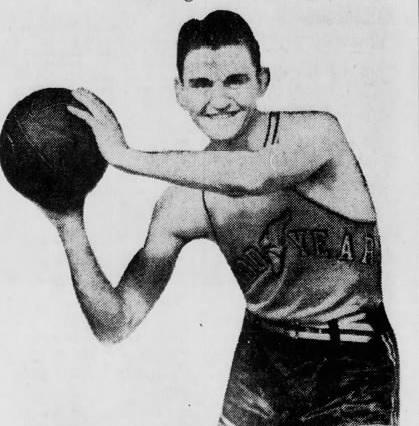 After college at Lewis Institute, Bloedorn played for Babe Didrickson’s barnstorming basketball team for one season and with independent teams in and around Chicago through the early 1930’s . Bloedorn joined the Akron Goodyear Wingfoots for 936-1937 Midwest Basketball Conference season and helped them win the league championship. Bloedorn’s association with Goodyear lasted 33 years as a player, manager, athletic and activities director. He also coached the company’s entry in the National Industrial Basketball League for two seasons in the early 1950’s. Charles Ervin Bloedorn Jr. Born: May 28, 1912 Died: May 20, 1998 Hometown: Chicago, Ill.